Instructions: Take your Neenah white cardstock and score 4″ and agan 4″. The card itself will measure 8.5 x 4.5″. When you score you will get the uneven folds for the card. Cover with paper from the Festive Holly paper collection using your designer dries clear adhesive. Stamp Water Lily’s in Tuxedo black ink and diecut using coordinating die. Shape using your deluxe flower shaping kit to mold the petals. You will use 1 large and 1 medium cuts for each of the full flowers. Color using your copic R35 then R37 followed by R39 to add depth. The center will be colored using Y19. Shape using your deluxe flower shaping kit to mold the petals. Glue together staggered. 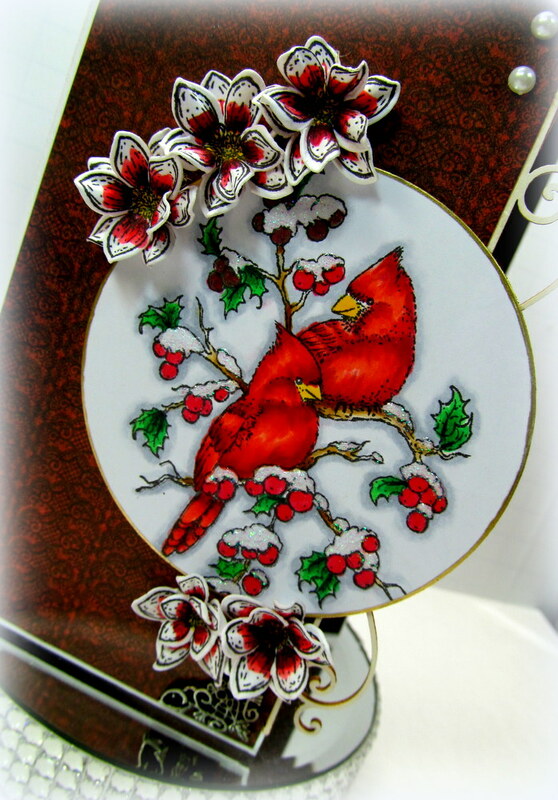 Cut your colored image using a circle die and add the molding by Scrapiniec to the outer edge of your card. 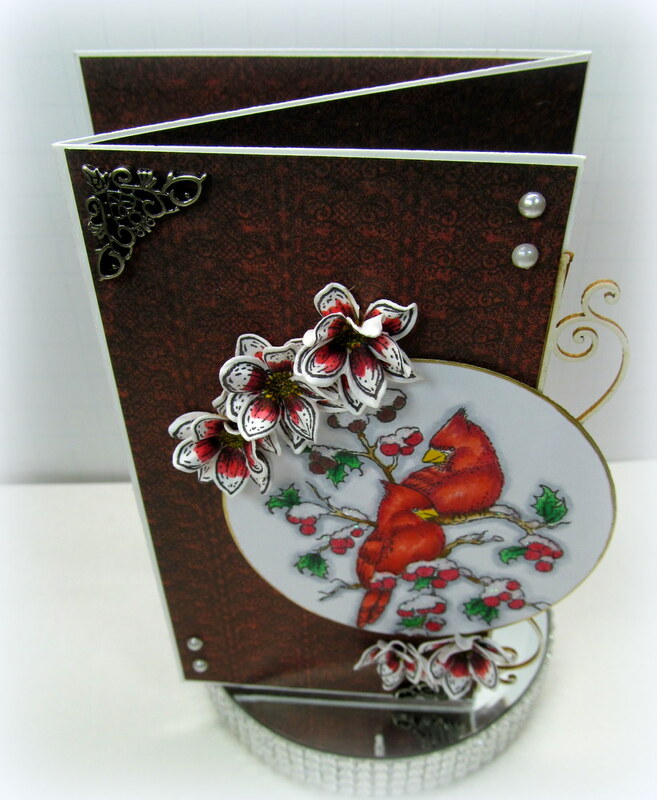 Use your glue gun to adhere your finished flowers to the card for a nice strong hold.